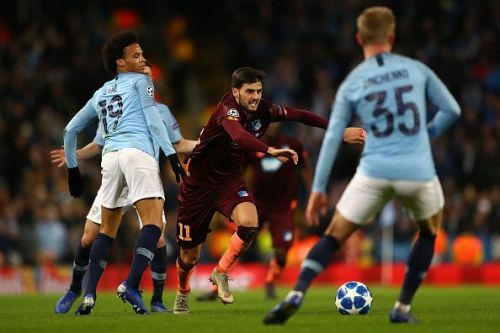 The Match Day 6 action in the UEFA Champions League 2018-19 season saw English champions Manchester City looking to seal top spot in Group G with at least a draw with German side Hoffenheim. Ligue 1 side Lyon battled it out for the second Champions League last 16 spot against Ukrainian outfit Shakhtar Donetsk in tough conditions. Barring a shock Hoffenheim victory over City, Lyon or Shakhtar were ensured of a Europa League spot in case they lost. Manchester City have made a habit of starting slowly in Champions league fixtures and the trend continued against Hoffenheim as well. Aymeric Laporte gifted Hoffenheim a penalty which Kramaric converted giving the German side an early lead. Pep Guardiola fielded a much less strengthened side owing to the injuries received to key players. This provided an opportunity for the other players to showcase their potential. Leroy Sane scored twice in each half to hand Manchester City a decisive victory over tough opposition. Sane's brilliant free kick in the second half was enough to secure all three points and pole position for Guardiola's side in Group F.
The hosts were unlucky as they hit the woodwork twice before Sane's brace proved to be the decider. With this loss, Hoffenheim finished last and were out of contention of the Europa League spot. 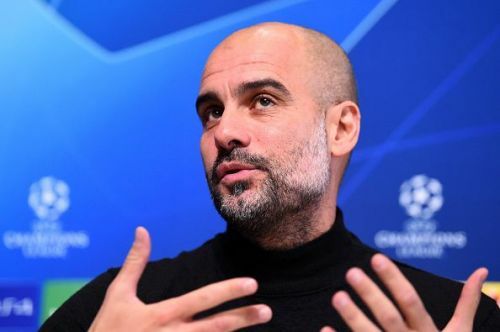 Guardiola described City's teenage midfielder Phil Foden as "a diamond" following the 18-year-old's performance in the Champions League win over Hoffenheim. "He is a huge talent. England have a diamond. Speaking to Manchester City's official website following the game, goalscorer Sane said: "After training, I practise a lot and try to score some free-kicks. Today I just thought we had this moment, and I just tried it."